Over the last decade, teaching assistants (TAs) have become an established part of everyday classroom life. TAs are often used by schools to help low-attaining pupils and those with special educational needs. Yet despite the huge rise in the number of TAs working in UK classrooms, very little is known about their impact on pupils. This key and timely text examines the impact of TAs on pupils’ learning and behaviour, and on teachers and teaching. The authors present the provocative findings from the ground-breaking and seminal Deployment and Impact of Support Staff (DISS) project. This was the largest, most in-depth study ever to be carried out in this field. It critically examined the effect of TA support on the academic progress of 8,200 pupils, made extensive observations of nearly 700 pupils and over 100 TAs, and collected data from over 17,800 questionnaire responses and interviews with over 470 school staff and pupils. This book reveals the extent to which the pupils in most need are let down by current classroom practice. The authors present a robust challenge to the current widespread practices concerning TA preparation, deployment and practice, structured around a conceptually and empirically strong explanatory framework. 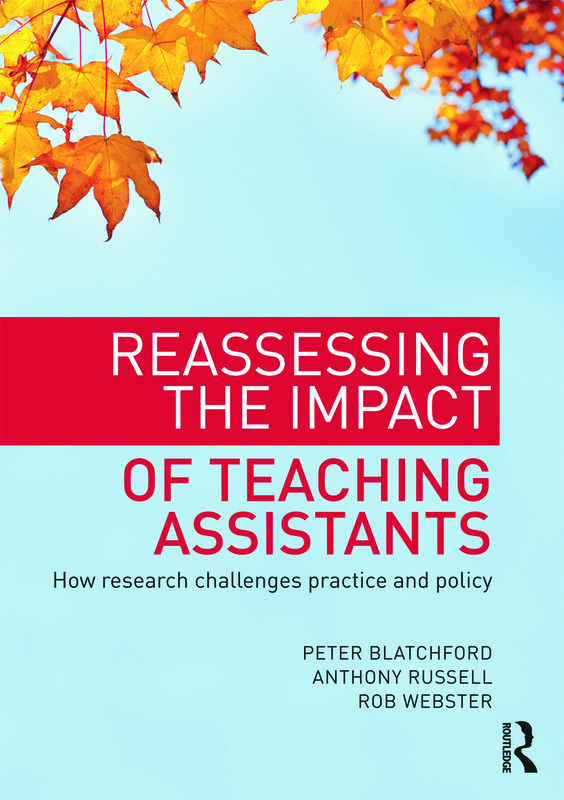 The authors go on to show how schools need to change if they are to realise the potential of TAs. With serious implications not just for classroom practice, but also whole-school, local authority and government policy, this will be an indispensable text for primary, secondary and special schools, senior management teams, those involved in teacher training and professional development, policy-makers and academics.